Engineered to power through mud and snow. Deep groves disperse water form the contact area, which also improve handling and braking on wet surfaces. 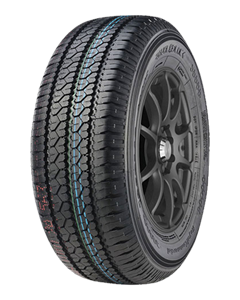 Tough sidewall reinforcements enhance durability and tyre life.